This historic edition of the event marks the first time that the ISA World Longboard Surfing Championship has been held in China, building on the ISA’s legacy of holding major events in the country since 2012. In attendance at the event was Chinese IOC Vice President Yu Zaiqing to give the event his blessing and declare it officially open. 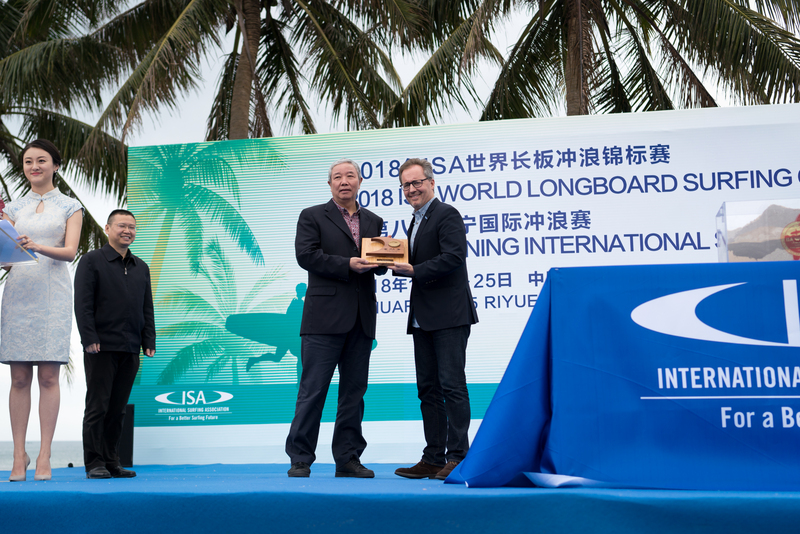 “Allow me to take this opportunity to express my sincere welcome to all here in Wanning to participate in the 2018 ISA World Longboard Surfing Championship,” said Yu Zaiqing. 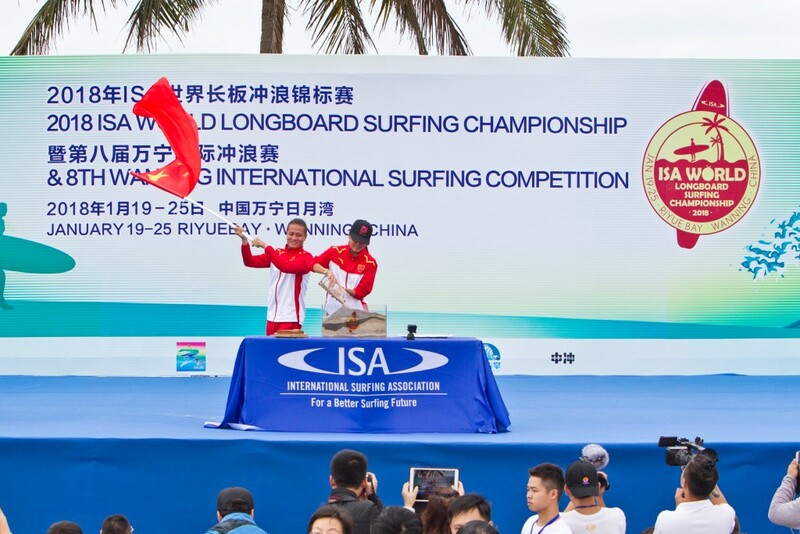 “I would like to congratulate the ISA, the city of Wanning, and the Chinese Extreme Sports Association for getting together to organize this world championship. 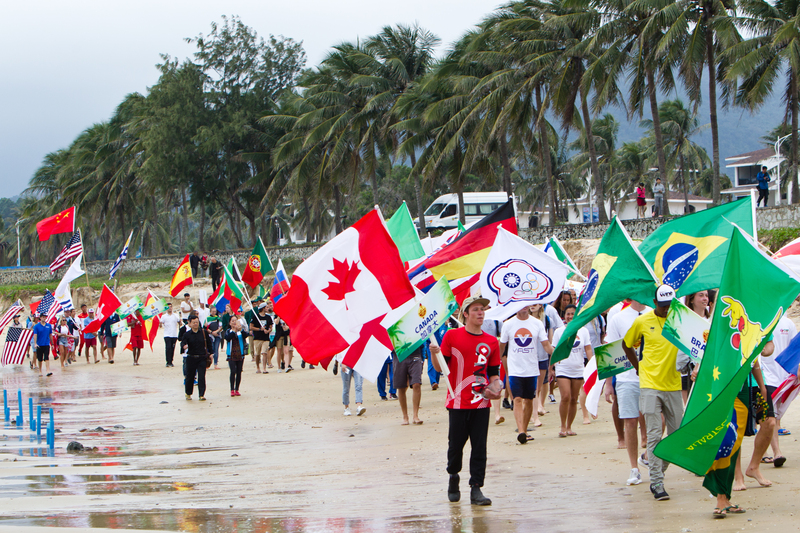 All the nations participated in the ISA’s signature Sands of the World Ceremony, mixing their sands in a clear container to symbolize the peaceful gathering of nations of the world through Longboard. Dignitaries present at the ceremony included IOC Vice President, Yu Zaiqing, ISA Executive Director, Robert Fasulo, Vicechairman of Water Sports Management Center of General Administration, Xu Sihai, Secretary General of China Extreme Sports Association, Liu Qing, Secretary of the CPC People’s Government of Wanning, Zhang Meiwen, and Division Director of Competitive Sports Department of the Department of Culture Radio Television Publication and Sports of Hainan Province, Liu PingJiu. “I would like to send a warm welcome to all the visiting athletes from around the world. Wanning is a city of longevity and surfing, a city of passion, vigor, and competitive sport. Over the past years we have vigorously developed the culture in the industry of sport and improved our infrastructure. “Sport and health have become the core values of Hainan and also have become the key element of a happy Wanning. We feel particularly inspired by the adoption of Surfing by the International Olympic Committee in 2016 into the 2020 Tokyo Games. We feel inspired by the fact that in September last year Wanning was identified by the National Chinese Surfing Team as a training base. 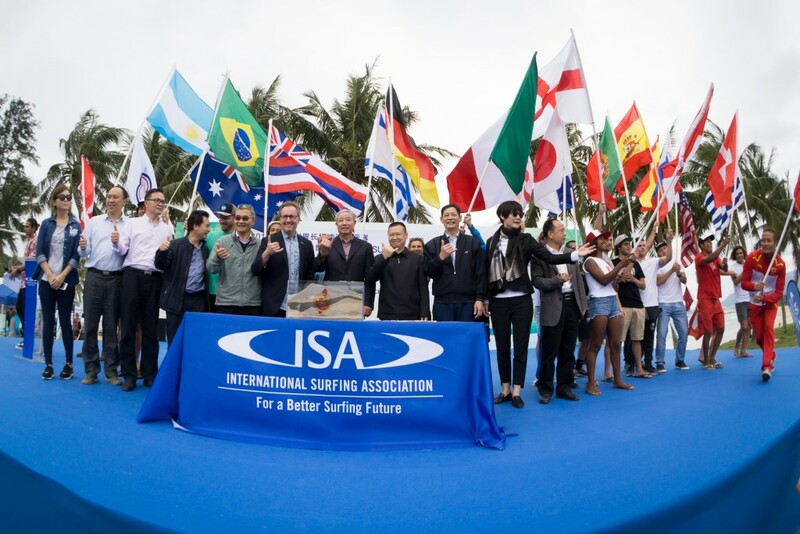 “On behalf of the ISA President, who unfortunately couldn’t be here with us today, it is my distinct pleasure and honor to welcome all the competing surfers and delegations from around the world for the ISA World Longboard Surfing Championship. “The world surfing family is very happy to be back in this beautiful Riyue Bay in Wanning, China. “This spectacular Island of Hainan in the great country of China represents a new frontier for the sport of surfing and the ISA. 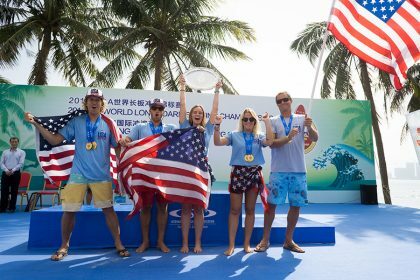 “We are very grateful to the leadership of Wanning, the Province of Hainan, and to the central government of China for their critical support and for their appreciation of the value of surfing for this region and beyond. We are especially pleased to have with us today the Vice President of the International Olympic Committee, Mr. Yu Zaiqing. “Most importantly, we are here today to celebrate you, the longboarders who have travelled from around the world to compete for your nations You inspire us with your performances, your passion, and your national pride. You will show the world that surfers can come together and compete in fairness and friendship regardless of the boundaries that divide us.